Kaleb is the son of Ryan and Shannon Crans. In his free time, he enjoys volunteering at Companion Animal Foundation, participating in CR student government, camping, and reading. Kaleb is interested in attending a liberal arts college like Bowdoin or Grinnell. He plans to major in mathematics along with a social science - most likely economics. Kaleb’s ideal career will allow him to use math to solve real-world problems, such as data science or operations research. Kaleb says, “AR has opened a lot of doors and allowed me to explore my interests to an extent that you just wouldn't get at a traditional high school. 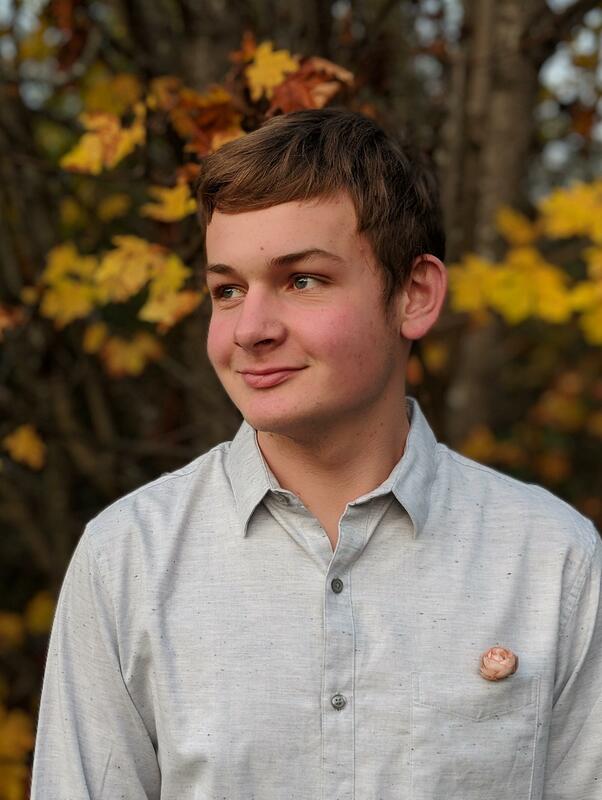 I think what truly sets AR apart is its environment that really pushes you to grow both as a student and a person, and I think that is what has made my four years here so meaningful.” Kaleb will graduate with 50 college units.